Sweet. Do you have the ebay ID number ? Unfortunately it looks like those pictures were cached! 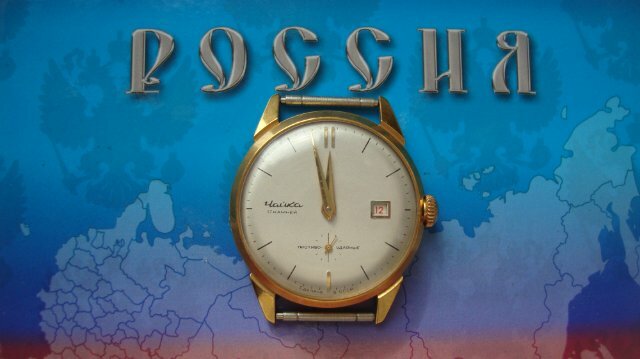 The auction seems to have ended in 2014. It seems to be by far the nicest example I've seen. Looking through some older auctions I found yet another 2200 offered for sale at about half the price last year as well! I do believe these are more common than people suspect. heimdalg and elsoldemayo like this. Too bad. The 2200s don't turn up very often. Much like the Valjoux 61s. 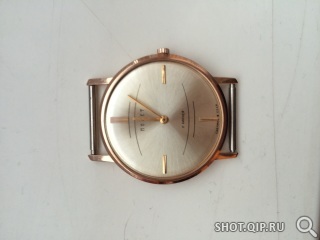 Last time I posted an expired auction for a Tutima Kirova and within 24 hours koutouzoff landed his very own on a tip from a fellow forumer. Perhaps the same will happen again. 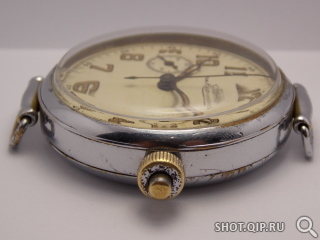 Here's another, comrade, looking right at home in what appears to be a ZIM case with a gold bezel. The movement is Chistopol's version of the k26. 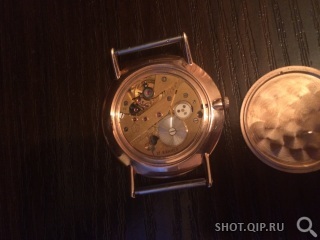 I question whether this "Chaika" was made by Chistopol as a commemorative of Valentina Tereshkova as the movement indicates (no seagull graphic, though) or is it out of Uglich originally using the 1601 17 jewel sub-second replaced by the k26? 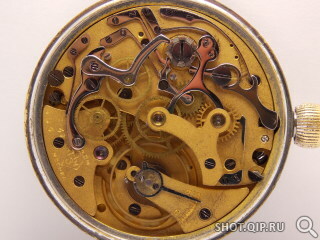 What movement does yours have, mvmt? Notice how "shockproof" statement is divided in two by second hand. I'm betting that ZIM case is a replacement. I believe that Chaika was the precursor to one of the below Vostoks, meaning the movement is likely Chistopol in origin. Yes, probably a replacement for its original gold case harvested for scrap gold. 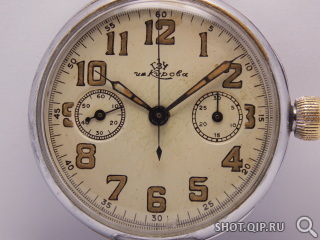 I just wondered if it was from the Uglich factory and therefore a Chaika brand watch, or from Chistopol and therefor a Vostok commemorating Tershkova. 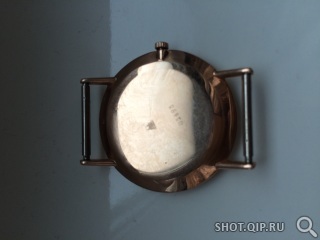 After seeing your Vostoks its clear to me it came from Chistopol as a commemorative. Last edited by schnurrp; April 8th, 2016 at 04:55. 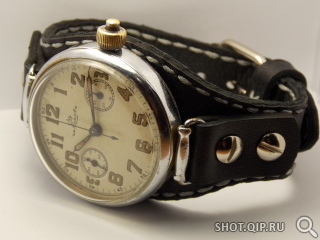 Chaika was one of the brands owned by Chistopol, so it's possible to cause some confusion. After all, Chistopol is the only one manufacturer who added the xx05 specification, I believe no other managed that. I hadn't realized that about the xx05.